Department of Pharmacy, GRD (PG) IMT, Dehradun, (Uttarakhand), 248009, India. The fluoroquinolones-levofloxacin, moxifloxacin and gatifloxacin have potent bactericidal activities against Mycobacterium tuberculosis. They have the potential activity in managing both drug-susceptible and drug-resistant tuberculosis as well as the possibility of shortening the period of therapy. The emergence of drug-resistance, fluoroquinolone-resistant, multidrug-resistant and extensively drug-resistant tuberculosis created a challenge to control the tuberculosis globally. The newer fluoroquinolones have clinical efficacy in some of the patients. So, it is needed the utility of new fluoroquinolone drugs for the treatment of tuberculosis. M. Asif, Orien Pharm &Experi Med., 2012, 12, 15. 11. A. Van Deun, A.K. Maug, M.A. Salim, P.K. Das, M.R. Sarker, P. Daru, H.L. Rieder, Am. J. Respir. Crit. Care Med., 2010 May 4; [Epub ahead of print]. 42. Tuberculosis Research Centre (Indian Council of Medical Re-search). Indian J Tuberc 2002, 49: 27–38. 43. W.J. Burman, S. Goldberg, J.L. Johnson, G. Muzanye, M. Engle, A.W. Mosher, S. Choudhri, C.L. Daley, S.S. Munsiff, Z. Zhao, A. Vernon, R.E. Chaisson, Am. J. Respir. Crit. Care Med., 2006, 174:331. 51. I.M. Rosenthal, M. Zhang, K.N. Williams, C.A. Peloquin, S. Tyagi, A.A. Vernon, W.R. Bishai, R.E. Chaisson, J.H. Grosset, E.L. Nuermberger, PLoS Med., 2007, 4: e344. 53. W.W. Yew, C.H. Chau , J. Lee , Int. J. Tuberc. Lung Dis., 2002, 6: 1132. 63. 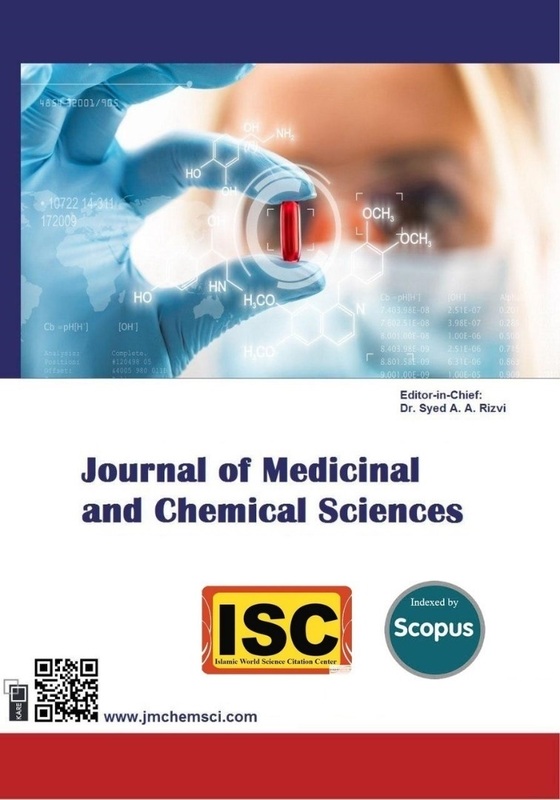 M. Asif, J. Chem. Rev., 2019, 1:47. 64. S. Sajjadifar, H. Hamidi, K. Pal, J. Chem. Rev., 2019, 1:35. 65. E.R. Nezhad, S. Sajjadifar, Z. Abbasi, S. Rezayati, Journal of Sciences, Islamic Republic of Iran, 2014, 25:127. 66. D.F. Latona, Adv. J. Chem. A, 2019, 2:225. 67. W.E. John, A.A. Ayi, C. Anyama, P.B. Ashishie, B.E. Inah, Adv. J. Chem. A, 2019, 2:175.